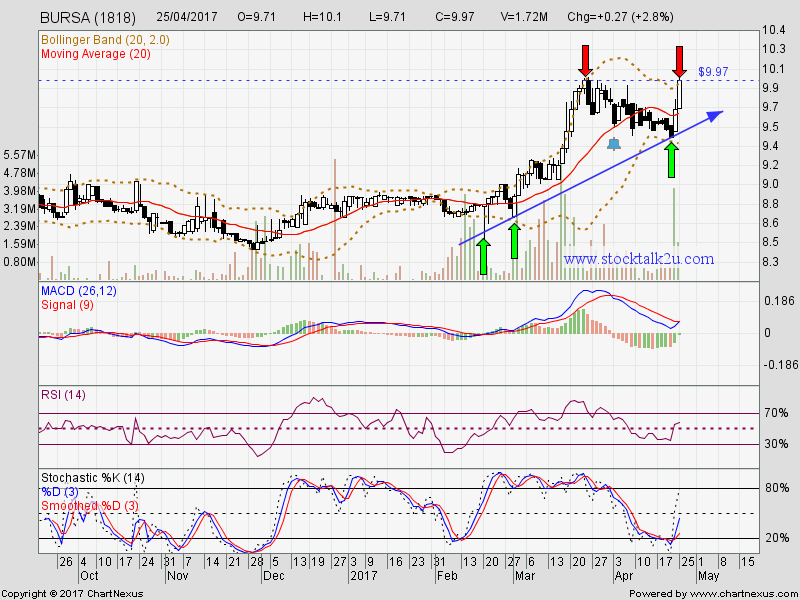 BURSA retest RM9.97 resistance level. Immediate resistance @ RM9.97 level. Subsequent resistance @ RM10.90 level. 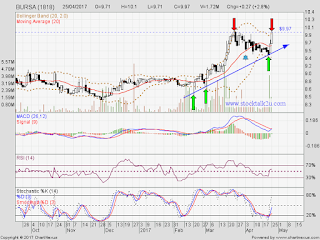 Immediate support @ RM9.43 level. Subsequent support @ RM9.25 level. If market sentiment remain bullish momentum, high potential BURSA will breakout resistance level.